Where is the snow? 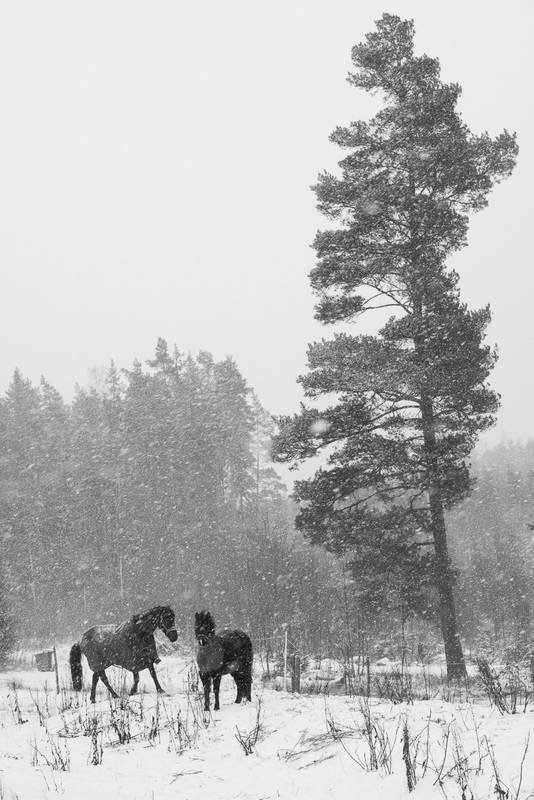 We had a green Christmas yesterday, but hopefully there will be a bit of snow on Sunday, fingers crossed! 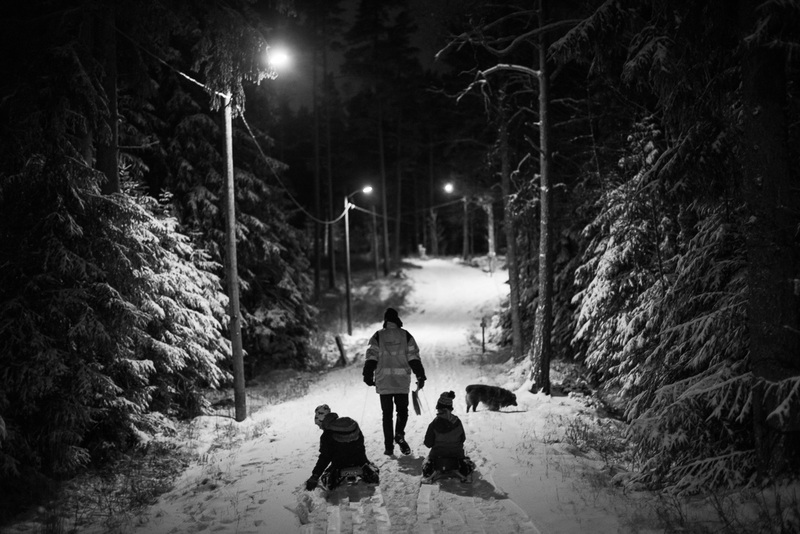 In Sweden we celebrate Christmas on December 24th. 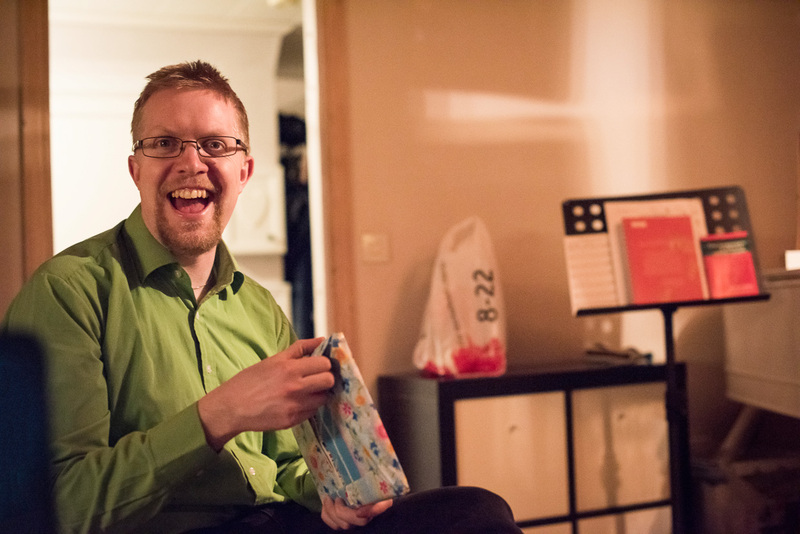 I have been celebrating with my brother Jonathan and his family in Småland. 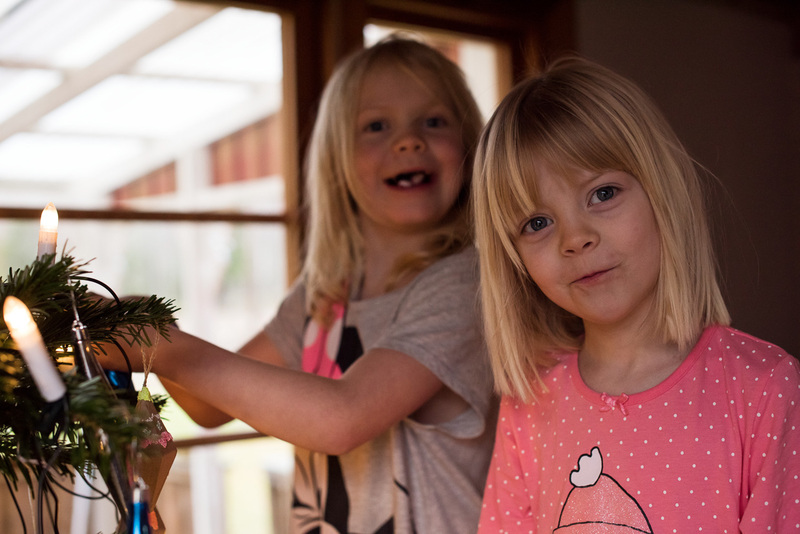 The girls were responsible for decorating the Christmas tree. 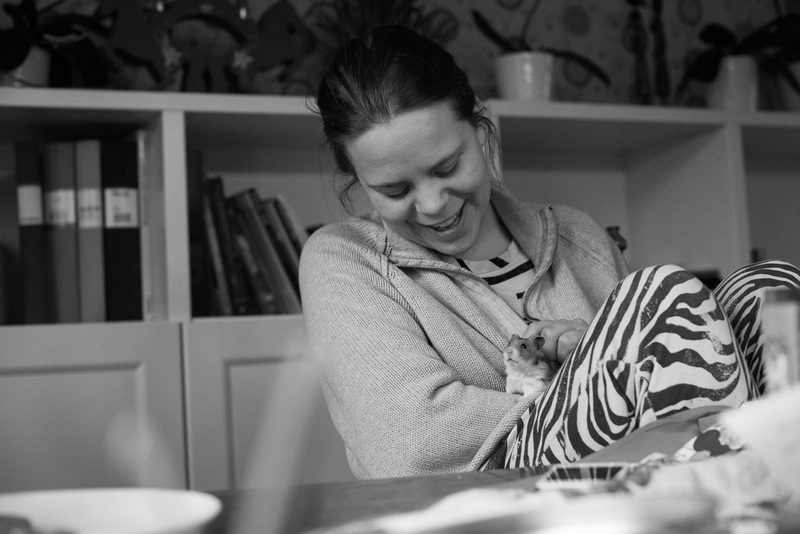 Bosse the hamster was the latest addition to the family. Sandra and her little friend. 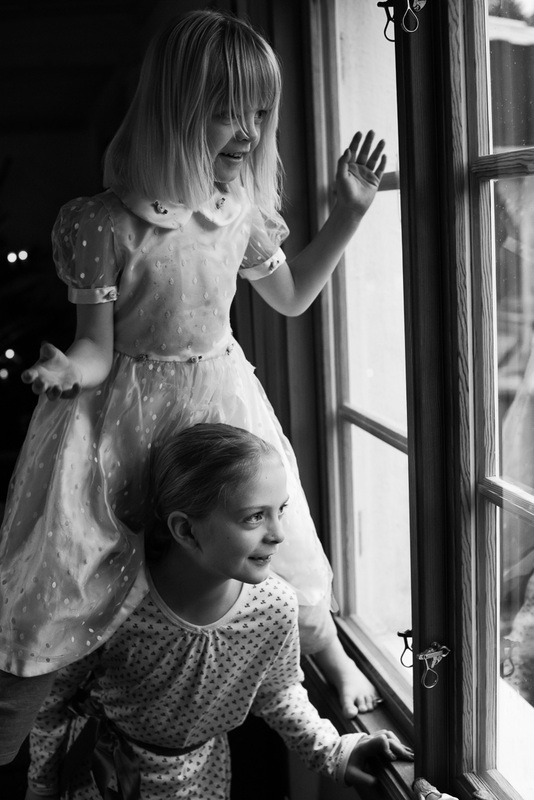 Santa does not arrive until after 3pm, but the girls were keeping a lookout just in case. 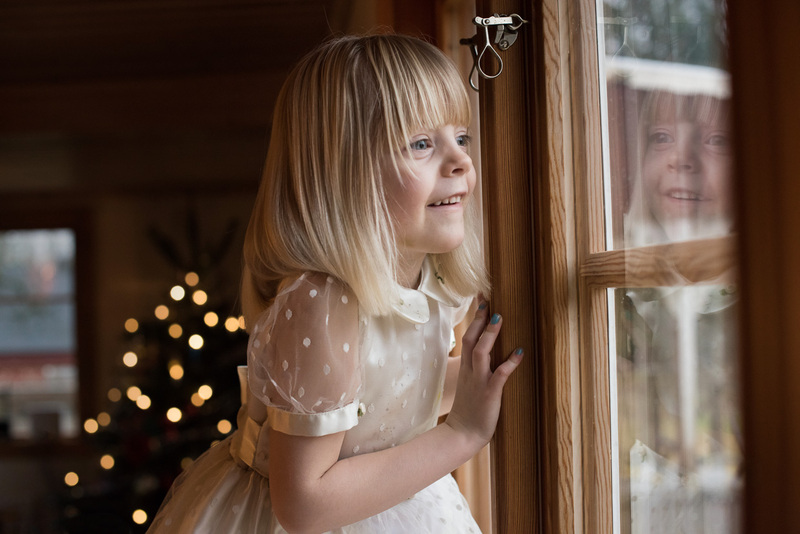 The waiting for presents lasts forever. Finally time for 3pm Kalle Anka’s Julafton (Donald Duck’s Christmas Eve). 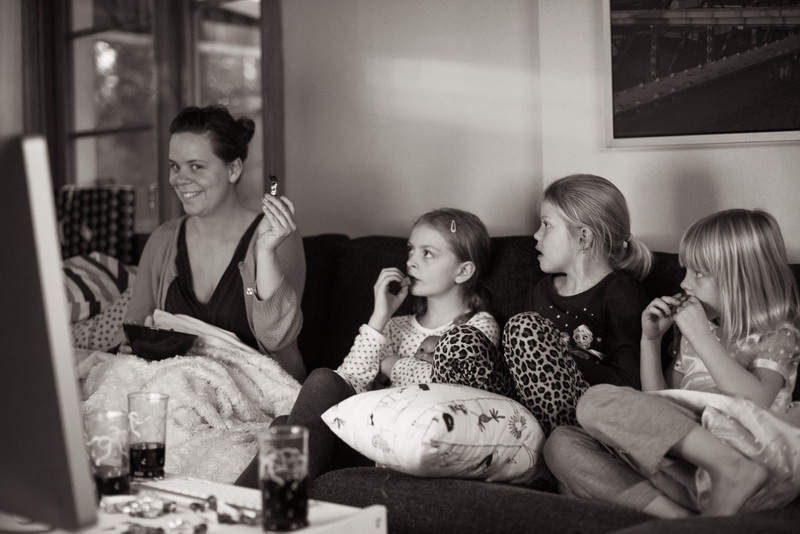 We have a very special tradition in Sweden, when at 3pm millions of Swedes of all ages sit down in front of the TV to watch an hour of Disney Cartoons. 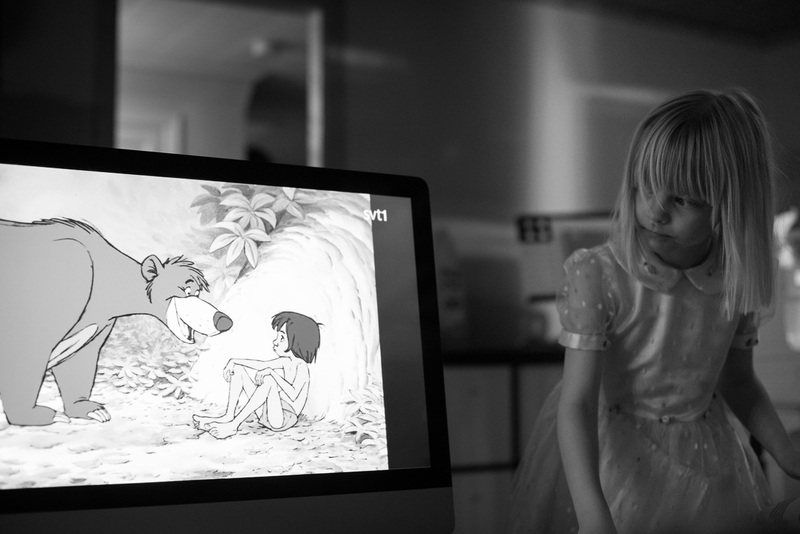 This tradition has been going on since 1959, when SVT1 public service TV started broadcasting it on a yearly basis. It has become part of our cultural heritage, and we make a lot of references to it. Santa is early, he interrupts the Disney broadcast. This is sacrilege and unheard of, but the kids do not mind. 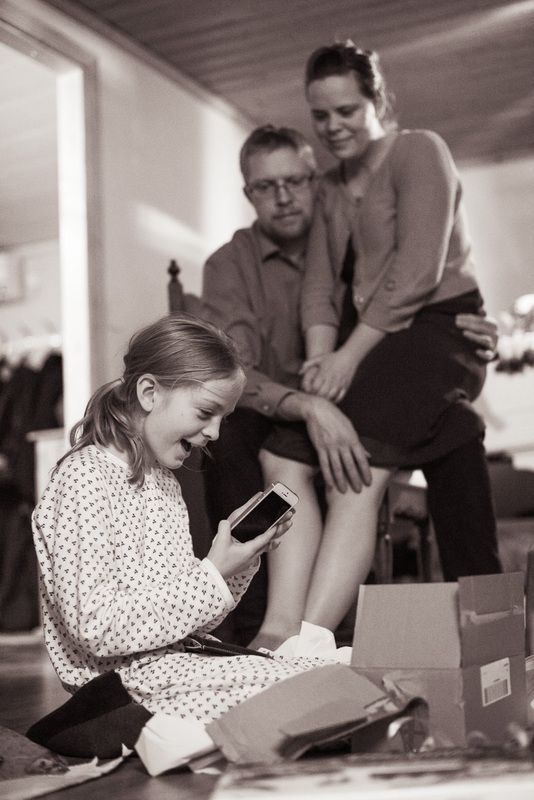 Her first mobile phone – the best Christmas ever! 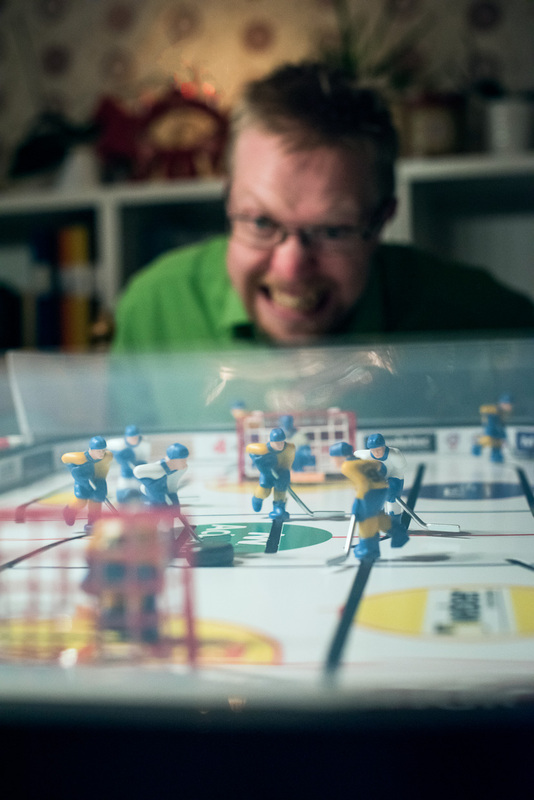 Jonathan and I were having a lot of fun with their new table top ice hockey game! We lit her by a mobile phone flash from the left. A quiet moment in the kitchen. 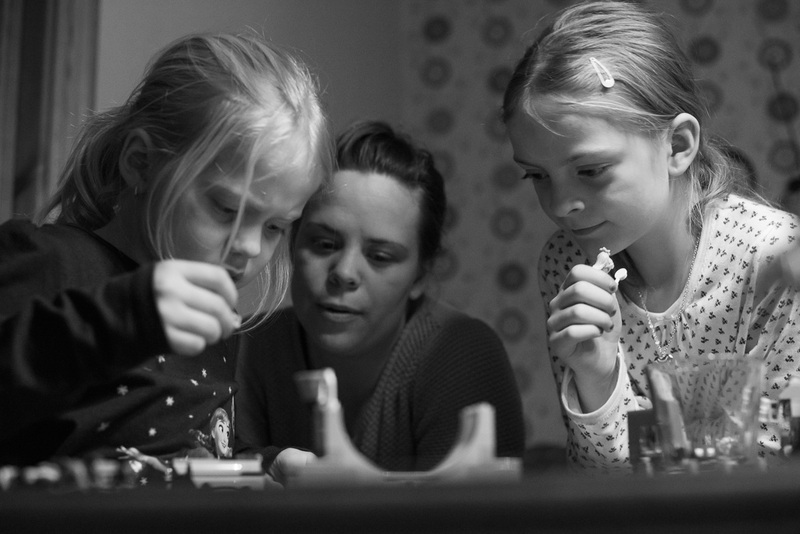 The girls are building with their new Lego friends. Update: Three days after Christmas snow finally arrives! Better late than never. 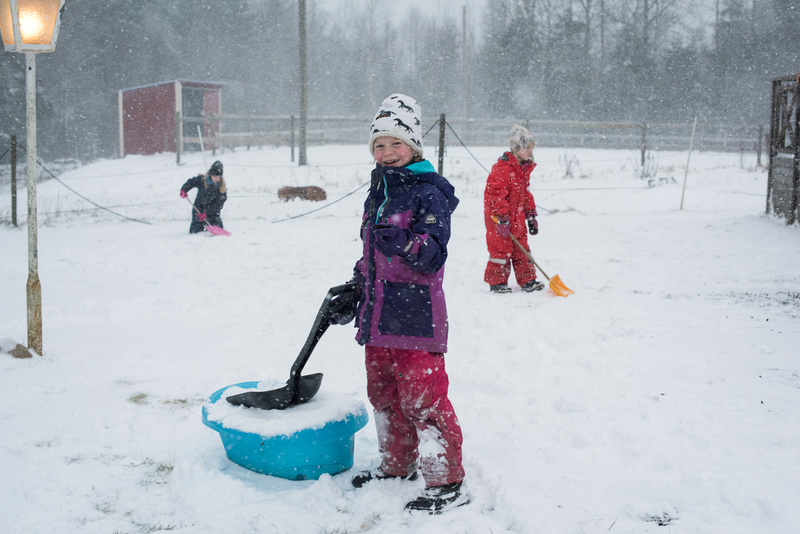 The girls are rushing out to build a snowman. 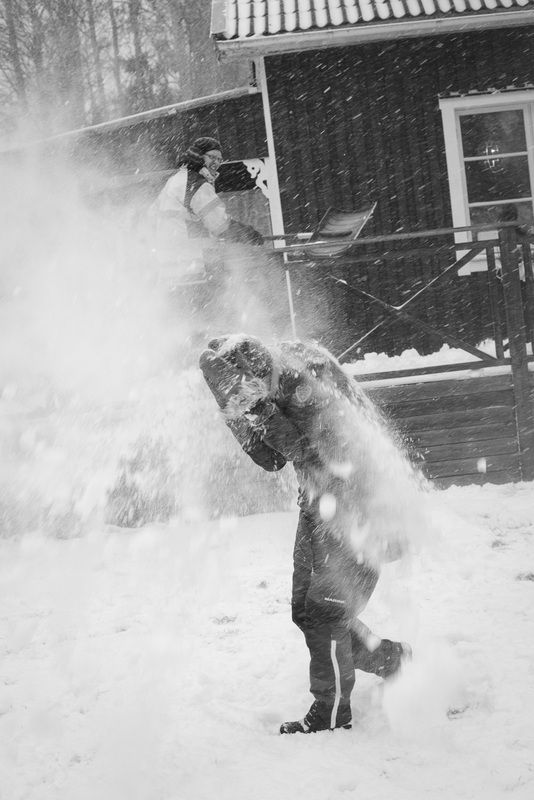 The porch needs clearing, snow battle ensues. The horse and the pony watch from afar. 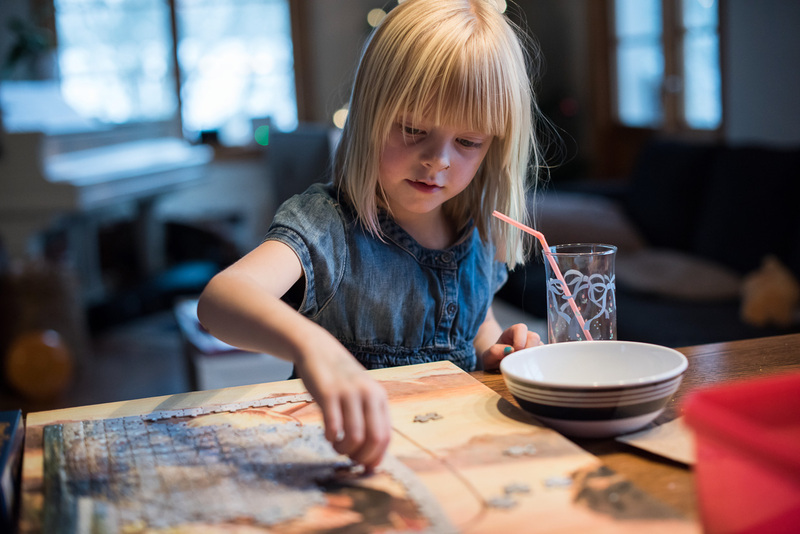 The youngest one in front of the Christmas jigsaw puzzle of the regal ship Vasa. On the way home after an evening in the ski slope with snow racers. 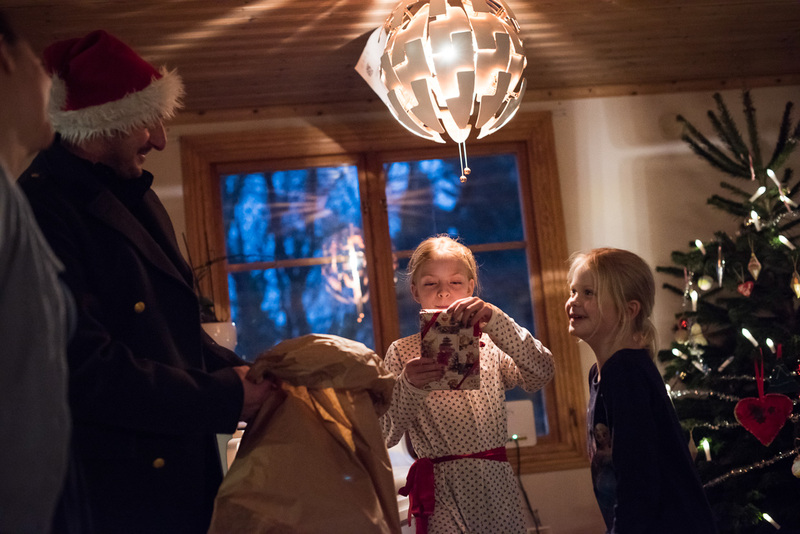 A Merry Christmas to all of you from us in Småland!